Home / General / Heavy rain in Malaysia now. Take precuations when driving. Heavy rain in Malaysia now. Take precuations when driving. 1. Anticipate gusts. Take special care when driving through areas prone to strong winds or when weather reports predict severe weather. 2. Notice larger vehicles. Be aware of large vehicles on the road such as tractor-trailers and recreational vehicles. They are more susceptible to high winds and drivers may have difficulties staying in their lanes. 3. Keep a firm grip on the wheel. Keep both hands on the wheel in case the wind begins to move your vehicle, especially if you are driving a large vehicle or towing a trailer. 1. Take your time. 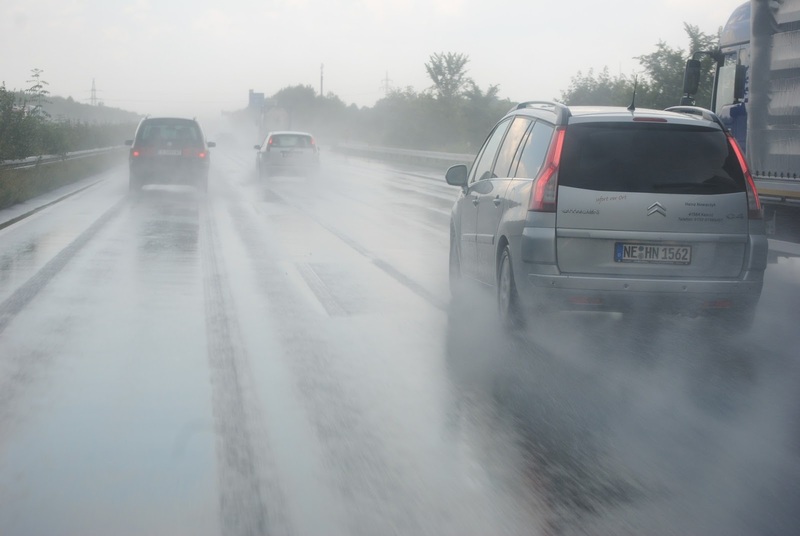 Slowing down is the only way to keep your vehicle from hydroplaning. Also remember that one of the most dangerous times to drive is soon after it begins to rain, as oils on roadway make for slick conditions. Waiting a few minutes, rather than rushing to your destination, can be a safer plan when it is raining. 2. Turn your lights on. Turn your headlights on to help other vehicles see you. Many states require the use of headlights during rain, even in broad daylight. 3. Give other vehicles more space. Add 1-2 extra seconds of following time in the rain, which gives you and the cars behind you more time to react to traffic.